A bold approach to painting makes my work distinctive. 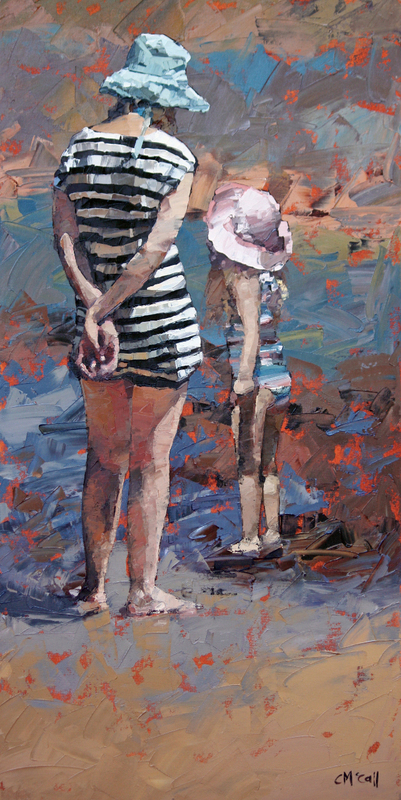 are combined with realistic subjects detailed in textured brushstrokes. from the viewer in a candid pose. time, place, thoughts and emotion. I believe the intelligence of a painting is in the lost and found edges. ...and the magic is in the movement created by a confident stroke of the brush or palette knife.